For so many years, fans have been waiting for the Deadpool movie that deserved to be made. The talent behind the newest superhero movie knew exactly what they were doing, from the marketing to the end credit scene, everything screamed Deadpool in every way, shape, and form. It’s perhaps one of the funniest movies of the last few years and thoroughly entertaining from start to finish. 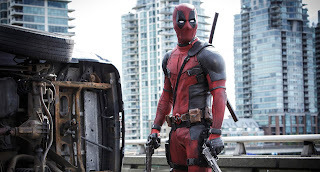 Wade Wilson (Ryan Reynolds), a former Special Forces operative, is a mercenary, working to make whatever money he can. His world comes tumbling down when the villainous Ajax (Ed Skrein) tortures, disfigures, and transform him into Deadpool. The experiments bring out his mutant genes, giving him the abilities to heal remarkably fast. With the help of Colossus (Stefan Kapicic) and Negasonic Teenage Warhead (Brianna Hildebrand), Deadpool sets out to get his life back from the man who destroyed it. There is no better person to play Deadpool than Ryan Reynolds. His love for the character shines through and it’s clear that he, and the rest of the cast, had an absolute blast making this movie. Speaking of the rest of the cast, there isn’t really a weak link. Ed Skrein gets some redemption after his failed attempt at a franchise with Transporter Refueled and Morena Baccarin plays an interesting love interest for titular hero. But the real standout was newcomer Brianna Hildebrand. In her first film role, Hildebrand nails down the angst filled teenager but is able to step up and be a hero when she needs to. Another newcomer brings their first outing to the film, director Tim Miller. In his directing debut, Miller delivers on everything that needed to be done for a successful Deadpool movie. Perhaps even greater than Miller’s contribution was the brilliant writing by Rhett Reese and Paul Wernick. The combo know exactly the material and potential they have, crafting a hilarious and meta-comedy surrounding the Merc with a Mouth. 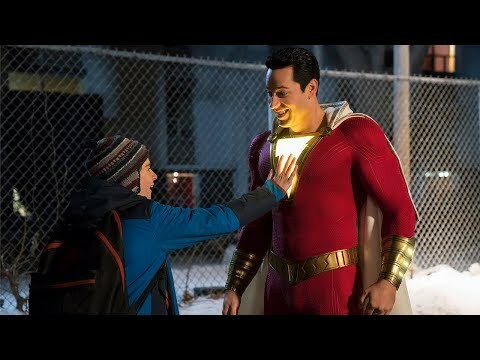 But it isn’t all violence and humor, because underneath it all is a pretty well crafted romantic angle (fitting for Valentine’s Day Weekend), certainly the best in a comic book movie at least since Captain America: The First Avenger. The film absolutely earns it’s R-rating. From gruesome violence to absolutely ridiculous comedy, Deadpool proves that an R-rating can help films be better than they would be otherwise. Those that hoped a PG-13 version should know that it would be impossible to change the rating without changing almost the entire film. 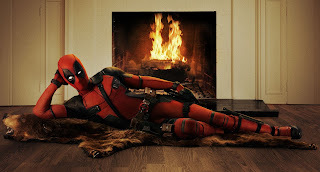 So what did you think of Deadpool? Have you seen it, and how does it rank among other Superhero films for you? Share, comment below, and as always return to I Am Sam for weekly reviews.